The old Revenue Canada building at 150 Main Street West, partially-demolished in August 2011, has sat ever since with a large part of the east-facing wall removed. How much longer is the building going to sit there with its interior exposed to the elements? Is this state of affairs in compliance with the City's Property Standards By-Law, which states that all property owners must maintain and repair their properties? RTH contacted the city's Municipal Law Enforcement (MLE) office - mle@hamilton.ca - to seek clarification on the status of this building. We will post an update if and when the City responds. Vrancor, the company that owns the building, is currently building a new Staybridge hotel kitty-corner from the Revenue Canada building, on the northwest corner of Caroline Street South and George Street. The redevelopment of 150 Main West into a 600 unit condo is not expected to start until after the hotel is completed, but Vrancor proceeded to partially demolish the Revenue Canada building last summer. That's the beauty of one way streets, you only have to finish the side of the building that drivers can see! speaking of the hotel, remember the fancy rendering with lots of brick and glass? I have a hard time believing that a company who has only built suburban style stucco hotels with little windows is going to put up 4 modern, glass condo towers on this site. Looking at your photo above Ryan, of the hotel, and comparing it to the rendering, it's not turning out anywhere near as planned. Nevermind the east wall, look at the south wall. The rendering shows windows wrapping around the corners....in reality there seems to be no windows on 3/4 of the southern facade. let's hope they aren't done popping windows out yet....or this could be quite ugly by the time it's done. never mind the building at King and Hess. I doubt current construction methods will stand up to future development by neglect the way these mid-century buildings are. Maybe Vrancor builds them this way as a favour to future slippery developers of his own ilk. I wonder if the Federal building demo was about getting around the covenant on title - ie I didn't destroy it, it just fell down! But I can't imagine he'd be able to get around it that way. Had he flooded the inside or lit an errant match maybe it would have been different. Someone should be raising this example as a best practice, ahem BoE building. Whenever a public body gives money to outside entities, a restrictive covenant should attach preventing needless destruction. If public planning is going to be such a colossal failure maybe private planning can do the job. Pretty uninspired. Hamilton would do well to hold an architectural competition like the one that brought the Marilyn Monroe towers to Mississauga and subsequently raised the bar for a city typically criticized for excessive sprawl. For the love of God let's tear this thing down already! What's amazing is that I haven't looked at that side of it for precisely that reason. I drive past it all the time. This raises an interesting question: If a developer tells the City he's going to build a lovely little brick-clad hotel with big windows and stone trim, but the result is a stucco box, what are the ramifications? What can the City do to prevent this from happening time after time? Renderings are generally only created once; to sell an idea. After that, the developer can change the plan as many times as they like without having to publicly release any new renderings, so long as their updated plans are approved by the City. So therefor, it was the City which allowed Vrancor to modify the building from something 'not that terrible' to 'unacceptable' by many standards. Problem is, though our climate is in no way similar to that of Las Vegas or Phoenix, Stucco seems to have the City's seal of approval for building material though it's painfully obvious Stucco cannot last long-term in a Canadian (mostly moist) climate. You need look no further than Eastgate Square's newer additions to see how terrible the stucco looks just 3-4 years after it's application. And for the record, the stucco used in desert climates (which have a purpose, ie: keeps homes cool, also blowing sand deteriorates brick) are of much better quality than the crafty type used in Hamilton. From what I can see, they seem to be starting to dig the under ground parking lot right now. This is article is pure sour grapes and I for like how that new hotel is working out so far. I don't understand. So if they are digging the underground parking lot, why does the building have to be exposed to the elements? Get ready for an "ooops it fell down". Lister did it twice to us. Because it's a lot more dangerous and more likely to cause a building collapse by digging an underground parking lot under a location while it's still standing safely. That is if it's even possible to dig under the building to make said lot safely. It is a big building. If you had watched the demo, you wouldn't have many doubts as to it's structural integrity, and it suddenly collapsing. However, that's no engineers assessment, which Vancor was required to provide to allow a partial demolition to occur instead of the full demolition that the they originally had with the city. So pretty much the gripe at this point becomes "Vancor should have to put up a sheet a plastic up on the side of the building, to protect the interior that they are going to gut anyways." 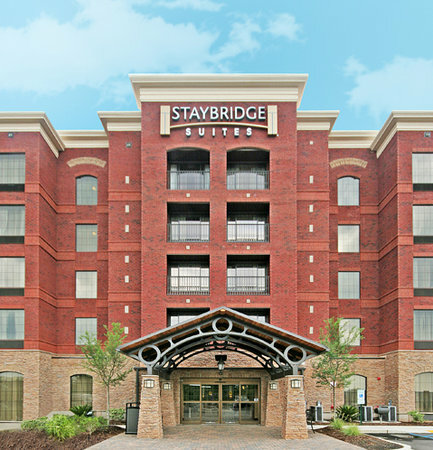 "I just heard from a trustworthy source that Vrancor intends to move the crane from the Staybridge Hotel straight to the Federal Building site and start construction immediately on this project. This would save on transportation costs. No building permits have been issued yet, but that is what they are planning on. If the city moves to approve building as quickly as it did to approve demolition, I could see this happening! " Stucco-on-styrofoam is the vinyl siding of our age. Ryan, did you ever get a response from the city? No, as a matter of fact. I just sent a follow-up. If he presented one thing to the city and builds something else the city would have recourse. The renderings put out there for public consumption mean nothing. It's what is presented to city hall that counts. Chances are he is building exactly what was presented to the city for approval. Keep on them Ryan, don't give up.